You are here: Home / Maintenance & Common Property / Common Property NSW / NSW: What Do I Own and What is Common Property? These articles covering the question ‘ what is common property ‘ have been supplied and written by David Bannerman and Sven Bjerkhamn, Bannermans Lawyers and Michael Pobi, Pobi Lawyers. For any lot owner and for an owners corporation, the really important question of who owns what needs to be established as the answer will dictate how a strata scheme is correctly managed and who is responsible for what parts of a strata scheme. A full version of the picture can be seen here. The picture below is an extract from a typical strata plan. Clearly, this does not tell you all of the details about what is common property and what is lot property, which is described by the relevant legislation and case law. The structures located on the solid thick line, such as that shown above at the registration of the strata plan are common property. The ceiling, the structure of the floor including fixed tiles or floorboards, the electrical wiring located in the ceiling, external windows and balcony doors are usually all items of common property. Internal walls, not shown on a strata plan are lot property and a structure located on a thin line is usually lot property. kitchen cupboards will all usually be lot property and the responsibility of a lot owner. 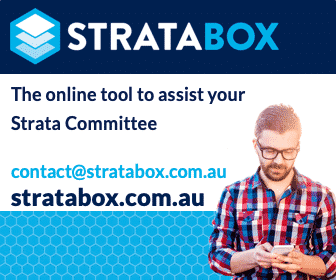 The general position does not apply to strata plans registered before July 1974. To a limited extent, notations on the strata plan can modify the general position. Owners or owners corporations can with requisite authorisation alter, add to or remove common property after registration of the plan. There is no ‘one size fits all’ answer to what is common property so if in doubt, ask an expert to work it out. David Bannerman Bio: David Bannerman, Principal, established the firm in 2007 as a sole practitioner under the business name Bannermans Lawyers. The firm provides high quality specialist legal services to the strata, development, construction and insurance industries and with its expertise and industry experience has become Sydney’s leading strata law firm, employing over 30 staff, including 19 highly skilled lawyers. NSW What is Common Property, Lots and Strata Title Issues? Before determining what land, structures or airspace that comprise lots or common property in your strata scheme it is necessary to examine the various definitions contained in the legislation. Therefore, it is apparent that common property has a residual nature i.e. what is left over in the strata parcel after all lots in the strata scheme have been defined in relation to that parcel. In addition, in the second reading speech supporting the introduction of the Strata Titles Act 1973 (as the Act was then known), the Minister administering the Act noted the effect of the legislation to make title boundaries “the inner surface of floors, walls and ceilings”. In essence, a lot was intended to comprise airspace such that the substance of the building would generally comprise common property to be owned and maintained by the owners corporation. This means that the act of defining a lot was a deliberate move away from boundary definitions related to the midline of walls, floors and ceilings contained in the former legislation and the problems associated with joint ownership of these structures. The base of each cubic space is designated on a floor plan of the lot or part of a lot. “Floorplan” is defined and it is sufficient to note that a floor plan forms part of a strata plan. It should also be noted that one or more cubic spaces can be designated on the floor plan as forming part of the lot. The base of the vertical boundaries of each cubic space is shown on the floor plan. The definition of “floor plan” indicated that this is achieved by baselines drawn on the relevant floor plan. These baselines are the thick black lines shown on the plan. It should also be noted that the base of the vertical boundaries is simply delineated on the floor plan and not fixed in the usual survey sense. The horizontal boundaries of each cubic space or lot are ascertained by reference to section 5(2) of the SSFDA. Once the base of the vertical boundaries of the cubic spaces forming part of a lot has been determined, it is necessary to refer to section 5(2) of the SSFDA to determine the exact position of both the vertical and horizontal boundaries of that cubic space. Accordingly, subsection 5(2) of the SSFDA works by presumption as to the position of both the vertical and horizontal boundaries where certain walls, floors and ceilings are involved. The presumption is displaced by any special position designated on the floor plan in accordance with paragraph (b). It follows that if floors, walls and ceilings are not involved (e.g. a courtyard) then paragraph (a) does not apply and the boundaries must be specially described under paragraph (b). Further, subsection 5(4) of the SSFDA operates to preserve a wall or floor even if those structures are not vertical (in the case of a wall) or horizontal (in the case of a floor). Also, “wall” is defined under the SSFDA to include “a door, window or other structure dividing a lot from common property or from another lot” and “floor” is defined to include “a stairway or ramp”. Finally, it is apparent from the definition of “lot” that “structural cubic space” which falls within the boundary of a lot is not part of that lot unless it is expressly made part of it by appropriate endorsement. What constitutes a ceiling for the purposes of section 5(2) of the SSFDA is not entirely clear and is the subject of different potential interpretations. The better view is that for the purpose of section 5(2) of the SSFDA, the undersurface of a ceiling is the under the surface of the physical structure (present at the time the strata plan was registered) which limits the height of the cubic space referred to in that definition. The interpretation of strata plans requires an eye for detail, the application of complex strata law rules, professional skill and judgment. If you require further details defining what is common property or assistance dealing with any of the above issues, please contact strata lawyer Michael Pobi, Pobi Lawyers. Please note that the information contained in this article about NSW common property is not legal advice and should not be relied upon. You should obtain legal advice before you take any action or otherwise rely upon the contents of this article. NSW: Q&A Can Common Property Tree Maintenance be Shifted to Lot Owners? We are currently in dispute with the OC over who is responsible for the cost to repair the fence gate in our courtyard. The fence gate is located at the rear of the courtyard that provides rear lane entry into our townhouse and is also the divider between the street and the lot. The Strata Plan has a notation that states that all fence boundaries in the courtyard is common property. The issue is that our gate has electric swing arms attached that allow the gates to be opened by remote and also functions as the locking mechanism for the gate when closed. We are the only townhouse in the complex that has the electric gate opener as the original owner had the developer install it and include as part of the contract when they purchased it off-the-plan. We are getting conflicting views on whether the owner or the OC is responsible for the repair of the gate because of the electric gate opener attachment. In your view would you consider the electric gate opener to be common property? If it is considered an alteration to common property and there was no specific by-law or special resolution that passes the responsibility of R&M for that alteration to the owner, does that mean the OC is responsible? We do not consider that the opener is really an alteration to the common property because it seems it was in situ at the time of registration of the strata plan. If you refer to the common property memorandum for guidance (we say guidance because it does not apply to a scheme unless it is specifically adopted by way of a by-law), it seems that your opener situation is similar to the front entrance door scenario where all locks and attendant devices are the responsibility of the owners corporation (provided the owner made no alterations to the original construction). Hi We own and live in a duplex in NSW , there are 4 families that use the access road ours being the second last house on the road, we and our neighbor are the only strata owners , leaving the other 2 families with freehold dwellings, the Council have informed us that the upkeep of the access road is the householders responsibility, Is this correct ? we where never informed of this when we bought the house 10 years ago. There is no way to comment without reviewing the applicable strata plan/deposited plan. Are you able to forward a copy? I have a lot of down lights in my Strata Unit and recently when trying to replace a globe found that the socket that the globe plugs into was corroded ( live close to the sea) and would not take the globe. The Strata Manager and Owners Corporation are adamant that light fittings are always the owners responsibility. This would strictly correct if they are fitted to the underside of the plasterboard ceiling/paint line. Appendix 1 of the “who is responsible for what” publication reads ” any pipe, cable, ducting, plug or the like then when it breaks outside the lot or in a wall or ceiling that abuts to common property or another lot then the owners corporation is responsible. Can you confirm one way or another if I have made the correct interpretation in this instance. The diagram for installing down lights clearly shows the wiring and transformer and majority of the actual fittings ( about 90%) in the ceiling space. My complaint is not about the actual globe but the associated wiring from the power source to transformer to the actual plus that the globe fits into. The only real part of the light fitting is the cover plate on the room side of the ceiling which hides the cut out hole in the ceiling. My contention is that if there is a wiring problem in the ceiling space (common property) then it should be an owners corporation responsibility to fix. Further to my earlier comment. I have read the Common Property Memorandum and still contend that any wiring or plug etc in the common property area of the lot is still the owners corporation responsibility to fix. This would include the wiring to power points ( on common walls) etc. In this instance the power source to the down lights is wholly in the common area ceiling space as is the power point to which the transformer plus into to. The further wire from the transformer to the globe is also wholly within the ceiling space. It must be understood this complaint is not about the actual globe but about the wiring and necessary plugs. common property, in relation to a strata scheme or a proposed strata scheme, means any part of a parcel that is not comprised in a lot (including any common infrastructure that is not part of a lot). (c) the cubic space enclosed by a structure enclosing pipes, wires, cables or ducts referred to in paragraph (b). Can you paint your front door a different colour to what the original colour was? Please let us know if you still have any questions about this issue. I am assuming you are located in NSW? If you still require assistance, please let us know!